My knitting patterns were designed and are intended for personal use . 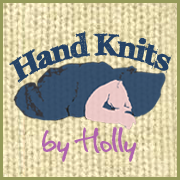 This means knitting for non commercial purposes ie knitting for yourself, your family, for gifts or for charitable purposes. However producing items to sell on a small scale is also fine with me. If you are able to reference the designer as SweetP Designs I would appreciate it, however it is not mandatory. Please do not use my patterns for mass production and do not under any circumstances sell or otherwise distribute the actual pattern itself.